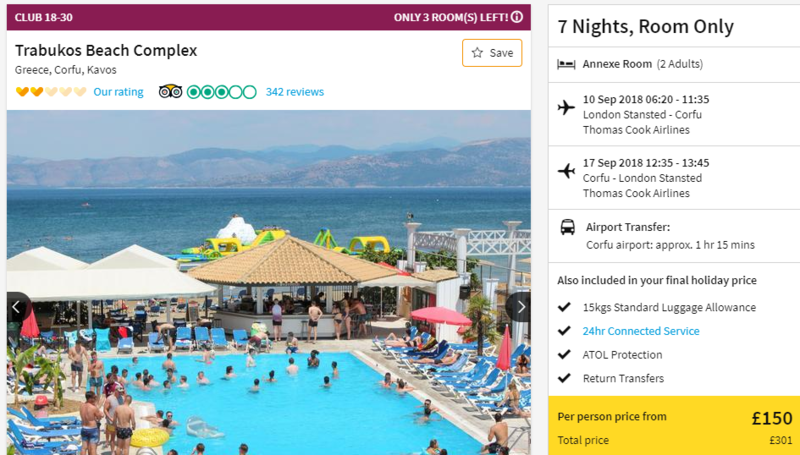 September 2018: Package Holiday to Corfu for 7 nights just £150 each !! 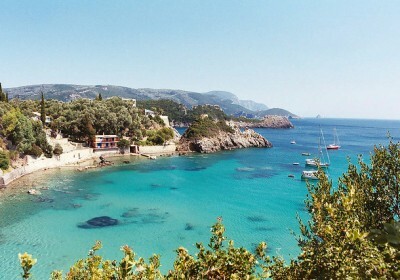 Wow guys, check out this fantastic deal over at Thomas Cook for a week in Corfu for just £150 each !! This deal is for September 2018 and based on two adults sharing – that’s just £300 for TWO x People!! The price includes return flights, accommodation for 7 nights, ATOL protection and return coach transfers! The Trabukos Beach Complex has good reviews on TripAdvisor and an average rating of 3/5 which you can check out HERE. The rooms are comfortable and surroundings pleasant with easy access to the resorts shops, bars and nightlife. Note this is a Club 18-30s holiday and not suitable for families with children. Trabukos stormed it last summer, so we’d be silly not to get it on lockdown for another year. This place is packed all day, every day. But it’s also in the perfect spot, right on the beachfront and seconds from the Strip. And the Trabukos legendary pool parties are not to be missed.